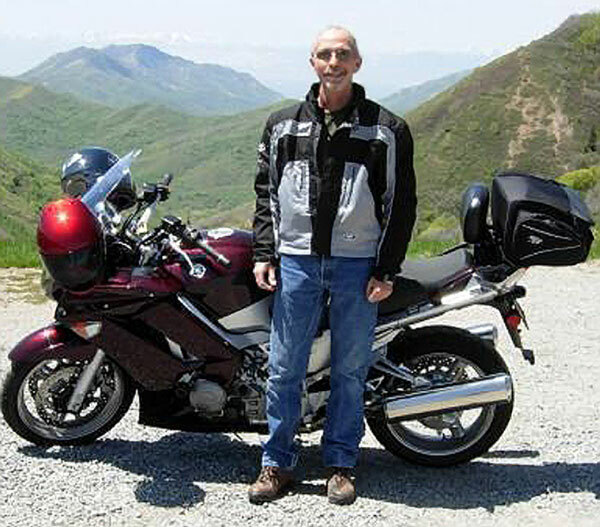 JEFFERY NEAL HAWKINS passed away on February 13, 2013 from an unexpected brain aneurysm. Jeff was an avid outdoorsman. He loved to explore and experience the Utah back country. Jeff used four wheel drives, mountain bikes, hiking, boats, and toward the last part of his life Adventure motorcycles to get him where he need to go to experience his love for the desert and mountains. Jeff also shared this passion with his children. Jeff is survived by his two children Colin (son) and Taylor (daughter); his brother, Kevin; his sister Lorna; his mother, Gay and his father, Darrell. IMPORTANT UPDATE FROM JEFF’S BROTHER! It has taken me some time to heal, and now it’s time to do something for Jeff. His birthday is July 20th so I plan to do a memorial motorcycle run on behalf of my brother to symbolize what Jeff meant to me. My goal is to complete a motorcycle certified ride known as the Saddle Sore and Bunburner 1,000 mile ride under 24 hours one.